The success of a company in a tough and competitive environment is often determined by small details and matters, which are usually considered of less importance. Today, most people would agree that the image of working environments is fundamental for the impressions made to customers and the conditions of the offices would be of the greatest essence to the health and increased productivity of employees. The good choice of carpets and commercial carpet cleaning cannot increase your profits per se but they can keep the workers satisfied and contribute indirectly to the increase of their work. It is natural that working places get dirty easily since they are visited by many people daily. Dirt is transferred by outside and dust is unavoidable whether we are talking about a store ventilated by the front door or a big mall and office building, which are ventilated through air ducts. In any case, dust, germs and bacteria end up on the floors and hide among the fibers of carpets and beautiful Persian rugs. A small coffee stain today and a drop of mayonnaise tomorrow will complete the picture of dirty rugs, aggravate the indoor air since all the harmful microorganisms are released in the air and the environment will be far from inviting to work and produce. More than that, dirty rugs and lack of dirty rug cleaning will have definite consequences to the health of the people working there since they remain in the same contaminated area for long. The secret is to prevent rugs from getting filthy. 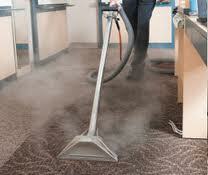 In fact, office carpet cleaning must take place every day concentrating on their good vacuuming and stain removal. If you have wall to wall carpets, you would need to replace them after a few years but in the meantime you need to keep them perfectly clean and free of stains. Rugs are more sensitive if they are handmade but still oriental rugs can be cleaned properly to keep employees from having headaches, red eyes, coughing and sneezing, and allergies. Dusty rugs would cause respiratory problems and theproductivity of the employees would unavoidably be reduced. Use good quality products for thorough cleaning and odor removal to avoid sick workers and a sick, bad working environment.